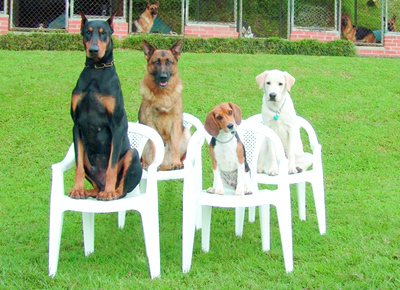 The first rule in obedience training is to be consistent. This covers the use of words, tone, and the actions that accompany the word or command. 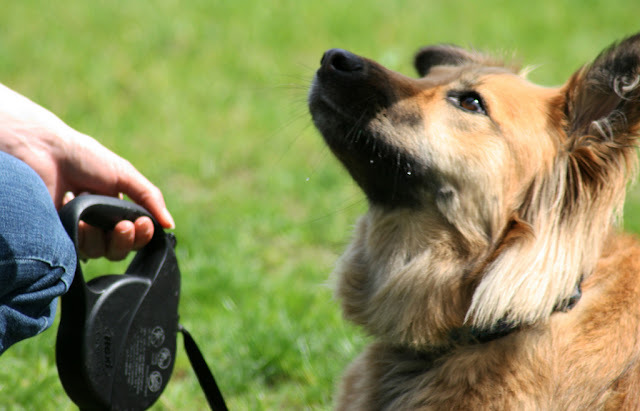 During the beginning of the training, the trainer or the dog owner must decide what should be the parameters of training- what you are trying to teach the dog and how to do it. 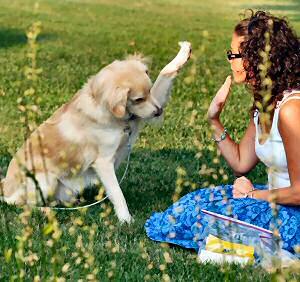 A word or a phrase, let's say "come", does not make sense to a dog. He does not understand things the way human understands it and he does not understand the language we use. So to make the training understandable, you should use the command in a very consistent manner such that the dog will learn to associate the word with the meaning you attach with it. For example, if you are using the command "come", make sue that everyone in the household use it in a singular manner. 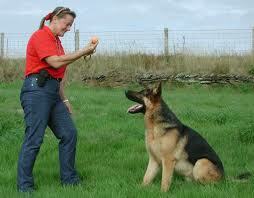 The command "Come" specifically means that the dog should approach the giver of the command use it in that sense. So if you are using this command make it a point that you would not do actions that would make the command confusing for the dog. If he does not come to you, do not force the dog to come to you and punish him for doing so. This would make him attribute the command with the punishment. What could you expect next?- he would not follow the same command since this leads to punishment. Consistency also covers the use of the same command by all people. For example, if you are using the command "come", other people in the household should not replace it with words like "here" or "come here boy". The hours devoted to training and the words used as command should be kept short. 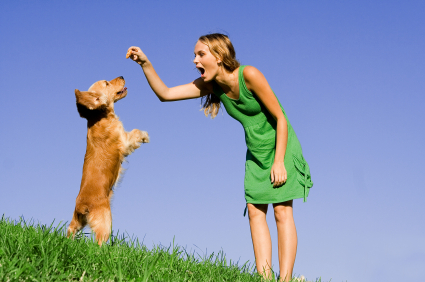 Keep in mind that the attention span of dogs is very short that making them engrossed with a specific activity would be very hard, if not impossible. Puppies would only react to a specific stimulus at a very long time, for example chasing a moving toy car, and then they would lose interest and move on to the next thing. They simply don’t posses the same amount of interest they had when they are staring the activity, they become easily bored. The same thing happens in training therefore, it should be limited only to 10 minutes to 15 minutes of regular training. Never hurt the dog if you want him to be trained. Also, never force the dog to follow the command if he is not prepared for it or punish a dog for something he did. Don’t push the animal too hard while training. The dog does not understand that he should learn things "instantly" and he does not realize that you are becoming impatient with the speed he is picking up the training. All he knows is that you are mad. So do not use force as this does not communicate your meaning properly, instead use negative reinforcement. If he knows that he is praised when he does something right, he should not be praised when he does not follow a command.